Lara Petrulis is the founder of InnerLife Counselling & Psychology. She is a Registered Psychologist with over 18 years experience providing Counselling to Children, Adolescents and Adults. Lara has vast experience in the Mental Health field providing Psychological Counselling to those experiencing a broad array of Mental Health and Emotional difficulties, including Anxiety, Depression, Grief and Trauma. Lara is conscious of the level of personal suffering that can deeply impact our lives, and she is inspired to help people move through these experiences towards a place of wholeness and healing. Lara uses an integrated therapeutic approach in her work and draws from a range of psychological therapies to assist clients to work on their current issue as well as at the core of their difficulties. In addition to clinical intervention, Lara is conscious of the therapeutic relationship and maintaining a well aligned working partnership with her clients. She brings gentle compassion, honesty, deep respect and integrity into the therapeutic space and supports clients to feel a sense of safety and trust in the process. Lara also encourages clients to own their therapeutic journey – to be part of an active and collaborative process towards healing. 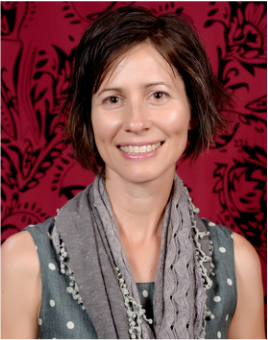 Lara has a Bachelor of Arts (Psychology) degree with Honours in Psychology and has full registration with The Psychology Board of Australia - (Australian Health Practitioner Regulation Agency (AHPRA).